All sails are BYOB and bring your favorite foods. Light snacks and water will be provided. 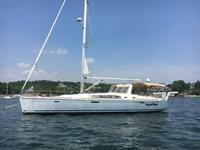 We are a family run business offering sail charters or lessons for all levels of experience and ages. It can be a hands-on experience or just sit back, relax, and enjoy the scenery. It will truly be an experience you won’t forget! Personal branding is essential for business today. We offer a complimentary consultation to go over the unique vision and experience that makes your business special. We will help you design a package that will help you build your business, offering original, creative, personalized photo & video content for social media, on your website, in articles and marketing materials. You will have a library to choose from when you need that perfect image, video or set of images, that perfect sound bite to use. Looking for a unique fundraiser for your non-profit? Host a fundraiser and save! 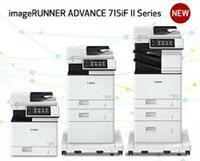 Sale on Canon Multifunction Printers! Do you own a restaurant, coffee shop, bakery, catering company or other food establishment? Are you preparing an updated menu for this year? Before the season starts is the best time to refresh your photos. We will come in and photograph menu items for you, providing you with a variety of images to use in your menu, social media, website, advertisements and more. 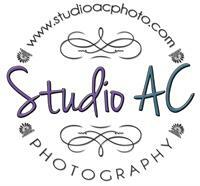 This spring, Studio AC is offering a very special price for a limited time - only $99 for up to 10 menu items!! Offering special pricing for headshots and personal branding photography as well as personal branding multimedia packages. We offer unique, personalized headshots. Your initial headshot session is FREE when you upgrade to a personal branding photo or multimedia package. Contact us to schedule a time or for a complimentary consultation today. Mortgage Network is a full-service direct lender. This means we handle your loan in-house with our expert underwriting, processing and closing teams with a 99% customer satisfaction rating ! 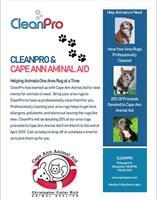 CleanPro has teamed up with Cape Ann Animal Aid to raise money for animals in need. Bring your area rugs to CleanPro to have us professionally clean them for you. Professionally cleaning your area rugs helps to get dust, allergens, pollutants, and stains out leaving the rugs like new. CleanPro will be donating 20% of our area rug proceeds to Cape Ann Animal Aid from March to the end of April 2019. Call us today to drop off or schedule a time for us to pick them up for you. Help animals in need, have your area rugs professionally cleaned!